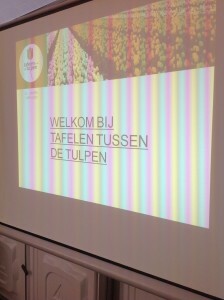 The first pop-up restaurant of the Haarlemmermeer brings a homage to the tulips: Dining with Tulips (Tafelen tussen de Tulpen). 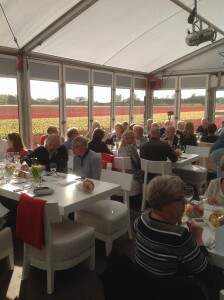 In cooperation with Restaurant ‘t Fort we presented lectures about the tulip. 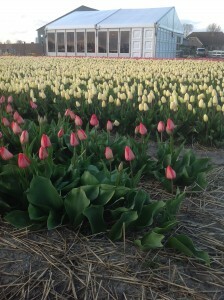 Where they come from and about the sustainable way of working in our company. 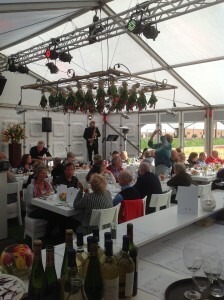 Next to the lectures, the guests enjoyed themselves with a 5-dish menu provided by ‘t Fort, live entertainment and more. 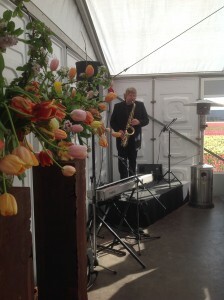 The event took place next to our own tulip fields where the guests could enjoy the amazing view till sunset. 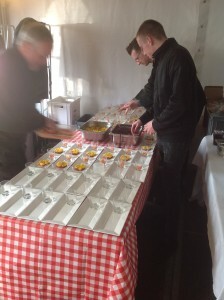 We can conclude that it was a successful first edition, and go on to the next one!